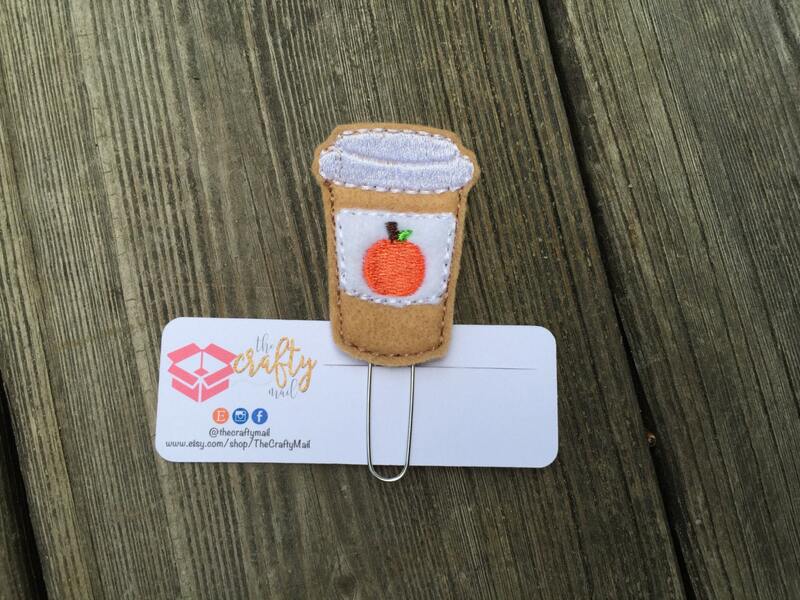 Pumpkin Spice Latte Planner Clip/Paper Clip/Feltie Clip. Large paper clip with pumpkin spice latte embellishment. Absolutely adorable. Love love love. Just wish shipping was quicker. Will buy from again. Ordered as a gift my sister who is obsessed with planners and PSL :) This brightened up her day! Thank you so much for the quick & speedy delivery of my order :) I loved everything and the extras were so nice!